Ask us about your commercial project! Imagine your favorite rooms in a new way ... re-purpose, re-fresh, re-upholster! Re: purpose - design - upholster! Bring us your design ideas - we'll help you decide the most cost effective strategy toward your DIY goals! "Quality workmanship and friendly attention to detail make this family owned business a pleasure to work with." 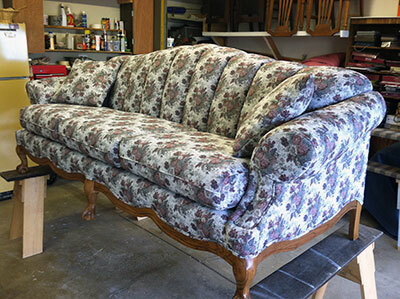 - Carl & Ronda G.
"A fantastic job on repairing our couch and making our wing back chair look modern and beautiful. The service was beyond our wildest expectation. I highly recommend them." 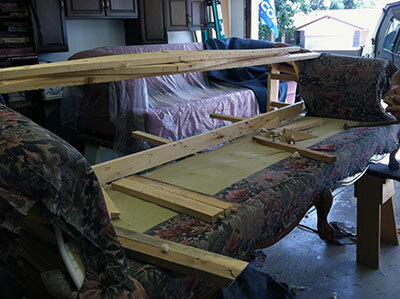 "I am blown away by the quality of work that was returned to our home. The mid-century chairs are gorgeous. By far the best re-upholstery work I have ever seen! Lovely people - beyond my expectations in the quality of work. You can tell they have a love and passion for what they do! Can't wait to rescue another mid-century treasure, with their help."